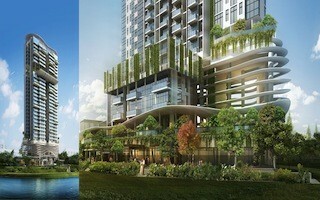 12 on Shan brings the best of Singapore urban living to the residents. A 78 unit residential development, 12 on Shan highlights the beauty and urban life of the Balestier/Novena City. Set amidst picture perfect skyline, and rustic charm. This Esteemed Address offers limited to 1 to 2 bedroom units to only 56 affluent families or individuals. 120 Grange is about 5 minutes walk to upcoming Orchard Boulevard MRT station. 183 Longhaus is a freehold private residential property sitting along upper Thomson. 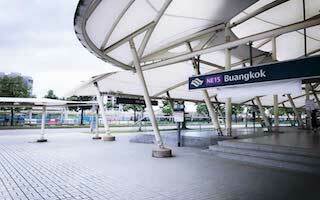 It is just a 5 mins walk to Marymount and Upper Thomson MRT stations. This development is also within walking distance to Thomson Plaza, nearby hawker centre and eateries. Located along Balestier Road, freehold development, 1953 @ Tessensohn is a Mixed Development that combines both residential and commercial spaces. 1953 comprises of 58 residential apartments and has a unit mix of one-bedroom to five-bedroom Units. There will also be 14 commercial units in this city-fringe development. Lock in your dreams with a touch of reality by investing in 24One Residences. 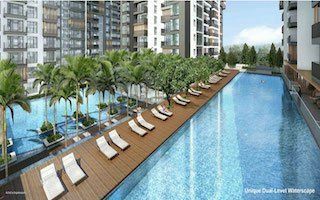 24One Residences is a freehold development located near Pasir Panjang MRT station. The prestigious and modern architectural design of 26 Newton promotes the height of luxurious living with 26 storeys of upscale apartments in a high-rise building. 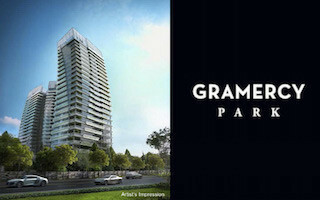 This residential tower consists of 180 units with a variety of apartment and penthouse sizes. Residents can choose apartments ranging from 1, 2 and 2 + 1 bedrooms. 3 Cuscaden (Former Cuscaden Mansions) is a new launch development located along 3 Cuscaden Walk. This freehold condo is just minutes stroll to both Orchard and Orchard Boulevard MRT Station. Surrounded by several mega shopping malls, residents of this stunning development are spoilt for choices when comes to dining, shopping and entertainment options. Freehold Apartment, 33 Residences is a beautiful 8-storey development that is about 10 mins walk away from Dakota MRT station. The units in this city fringe apartment feature spacious and efficient layout. Book an appointment to view our showflat today. 35 Gilstead (Former Casa Contendere condo) is centrally located in a private residential enclave of Singapore’s most coveted District 11. The site is located ideally in the vicinity of Novena and Newton areas,and is close to several top schools such as SJI and ACS. 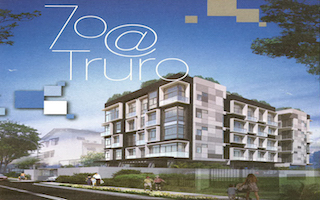 70 @ Truro is a 5-stories high private residential development. It features 24 apartments units. You can find this exquisite freehold development along 70 Truro Road, in prime District 8. The site area has 1371.30 sq m and it’s a freehold tenure. The estimated TOP for this development is mid 2018. Being located in the city fringe, 70 @ Truro is a just a short drive away to the heart of Singapore. 8 Hullet is a freehold condo located just 5 minutes walk away to Somerset MRT station. This freehold condo comprises of 4 types of units ranging from 50 square metres up to 74 square metres. 8 Hullet is located in a the heart of Singapore that is hard to beat. 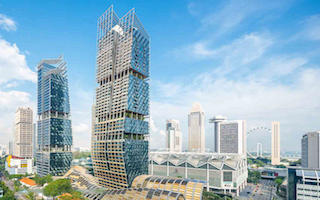 8 St Thomas – A stunning Twin Skyscrapers development along 8 St Thomas Walk. Luxury freehold living that comes with a prestigious address, picturesque views of the beautiful city and spacious and comfortable living spaces. Ready for immediate occupation. 8M Residences is a freehold condo development consisting of 68 beautiful suites with a unit mix of 1 bedroom with study room to 3 bedroom. 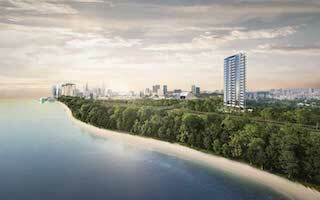 8M Residences sits along Margate road and is near East Coast Park. 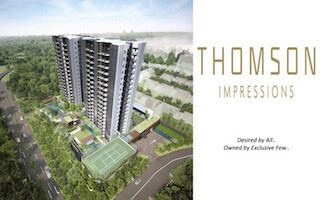 Adana @ Thomson is a freehold development located at Upper Thomson Road, sitting next to Lower Pierce Reservoir Park. 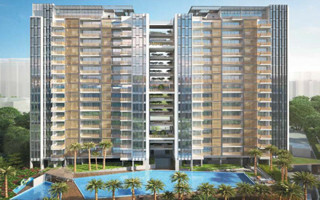 Residents will love the breathtaking view of luscious greenery that surrounds Adana @ Thomson. Nestled along Amber Garden, this rare iconic development in the East is a freehold condominium in the highly desirable District 15. Despite having a huge site area, this mega development comprises of only 592 premium apartments. 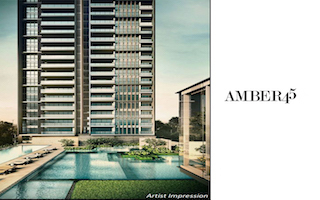 Amber Park is also strategicially located close to the MRT station and shopping malls. Be mesmerized by the breathtaking views of the sea, the horizon and the city skyline and enjoy the perfect seafont living that Amber Park offers. 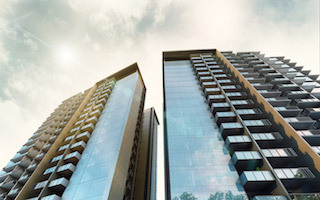 Arena Residences is a freehold city-fringe development that is seamlessly connected to the Paya Lebar Business Centre, CBD and Marina Financial Business Hub. Shopping and dining amenities that catered to the needs of the residents are also of close proximity. The Arena Residences is at an excellent location that is great for both investment and self-staying. Belgravia Villas features a quiet and serene setting of housing estate that is embedded with culture and history to the core. 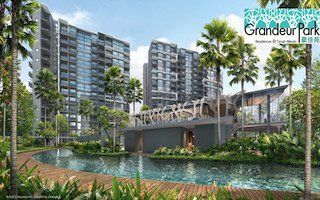 Belgravia Villas comprise of an extremely exclusive collection of 100 strata terrace houses and 18 semi-detached houses nestled in the Seletar vicinity. 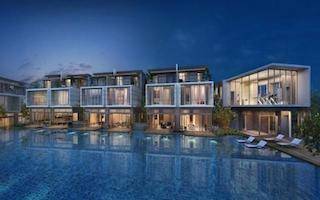 Freehold Condo, Bliss @ Kovan obtained its TOP in Q3 2015. Despite nestling in a low-rise private residential enclave, Bliss is only a few footsteps away from Kovan MRT station and nearby amenities. Actual units are open for viewing via appointment. A beautiful sanctuary located in an unrivalled location. Strategically situated in the heart of the city along Orchard Boulevard, Boulevard 88 is a freehold development that sits on top of the Singapore Edition Hotel. With a highly sought-after address by many, this stunning and iconic development of 154 exclusive units exudes utmost luxury and is meant only for the privileged few. Carpmael Thirty-Eight – An oasis of peace, where you can easily recharge your batteries for the following day. Carpmael Thirty-Eight is a freehold development along Carpmael Road, It is a boutique development comprises of only 16 exclusive apartments. 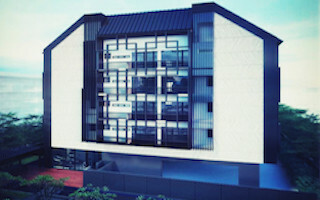 Commercial Property, Centrium Square is a freehold development that is within a min’s walk to Farrer Park MRT station. This 19-storey highrise tower that is in the heart of Serangoon consists of office units, retail space and medical suites. Located on 235 Balestier Road, city fringe development, City Suites is a freehold residential apartment that wishes to incorporate all the excitement and benefits of living in a modern urban area in one single place. 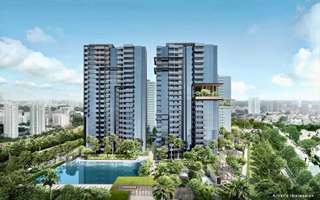 Nestled just right at the city fringe along Mergui Road, freehold condo Cityscape @ Farrer Park is situated in District 8 and houses about 250 condominiums. This 30-storey freehold condo that features a contemporary homespace boasts a unique location that puts all parts of Singapore within easy reach. 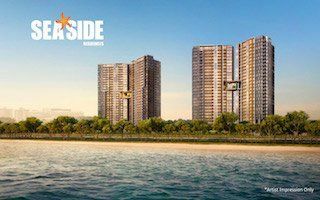 Located in the tranquil Amber Estate, freehold development, Coastline Residences is an idyllic home offering an all-embracing view of the endless sea to its residents. Coastline Residences is the perfect home for home seekers who love nature, beach and sunrise. 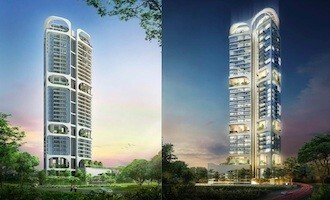 The Espada is a freehold development standing 32 storey tall near Somerset MRT station. Espada is in the center of all the necessities of life you would need – including hi-end shopping district and the best eateries in town. 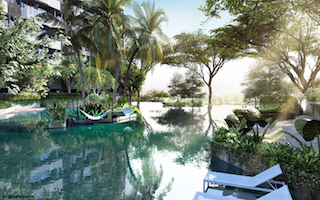 FiveNine is a freehold low rise residential development located in Lorong K Telok Kurau. This freehold development comprises of 15 apartments of 3 bedrooms units. The 3 Bedroom units are of various layouts and sizes ranging from 1055 square feet to 1302 square feet. This development will obtain its TOP in 2021. 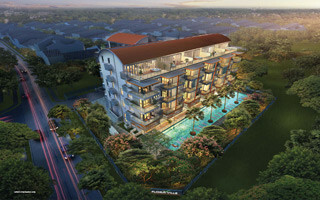 Situated along 2 Cactus Road, Flora Ville comprises of 50 exclusive condominium apartments. Nestled in a part of Singapore that retains its natural beauty and is away from the hustle and bustle of the city. The apartments ranges from 1-bedroom, 2-bedroom and 3-bedroom to two-storey penthouses. A magnificent blend of modern and architecture and avant-garde design elements that are designed to stand the test of time. Strategically located on the city fringe, nestling between locations filled with rich history and cultural heritage. Fyve Derbyshire is located on 5 Derbyshire Road in the prestigious District 11. The site is centrally located, right in Novena Planning Area, the Core Central Region of Singapore. This freehold condo is comprised of 71 residential units ranging from 1 to 3-bedroom size apartments and penthouses. Savour the quiet that echoes throughout the lush landscapes and pristine surroundings. Unwind in privacy within the desirable Goodwood Grand. Over here, you’ll discover a verdant yet vibrant enclave in the heart of town; the city’s garden residence that’s yours to own. Featuring 75 exquisitely designed luxury private condo units in prime district 10, Hallmark Residences is one of the most prestigious Freehold Singapore Condo. 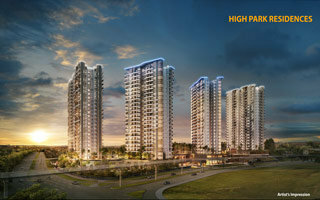 Soaring from an already elevated level, Hallmark Residences rises to a truly commanding presence. Sheathed in a facade design both timeless and elegant, it strikes the clouds and carves a new definition point in the cityscape. 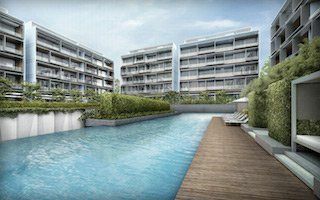 Located in Pasir Panjang, on Pasir Panjang Road, the new Harbour View Gardens is a freehold development that is nearby Haw Par Villa MRT station. This freehold development has a good range of unit mix varying from 2 bedroom to 3 bedroom with a guest / study room. The development is just a short distance from the future Greater Southern Waterfront. A treasure in the heart of east where business is closer to home. This freehold development is only a few minutes walk away from Eunos MRT station and Eunos bus interchange. 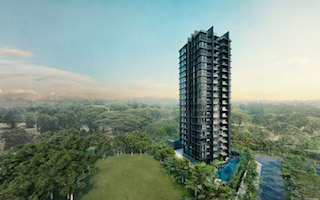 Nestled amongst the verdant forests in the west, Hills TwoOne is a completed freehold condominium development in Bukit Batok Estate. 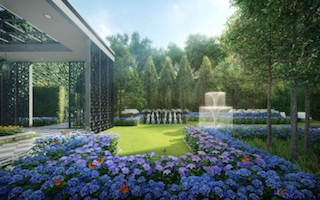 This boutique development sits in a tranquil private estate and is located closely to Little Guilin and Bukit Batok Nature Park. 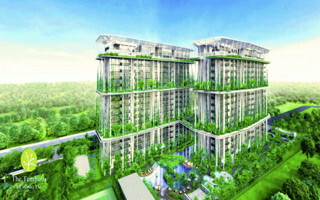 Hundred Palms Residences comprises of 9 residential blocks of 15 storeys each. The upcoming Yio Chu Kang EC is made up of 531 apartment units. Condo facilities such as swimming pool, BBQ pavilions, reading rooms, function room, fitness gym and basement carpark will be available within the development for residents’ use. Enjoy the mesmerising view of the Sungei Kallang right at your doorstep. 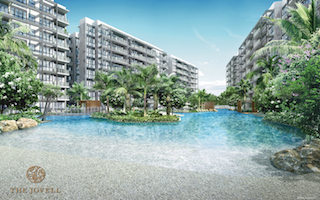 Jui Residences is a new housing development along 1177 Serangoon Road. This development has residential units varying from one Bedroom to 3 Bedroom. 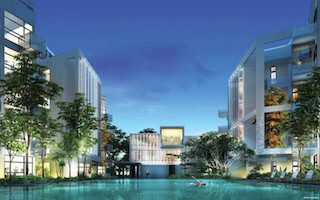 Sitting in the city fringe, this freehold development is just minutes drive away to the heart of Singapore. Enjoy Life by the waterfront. Marvel at the extraordinary design of a unique residence that spurs the imagination. Enjoy serenity in the midst of our hustling city, come home to an exquisite abode that exudes elegance. Lattice One at Thomson – a highly sought after development that has been long-awaited by many. Getting a freehold development in the Thomson estate has been the dreams of many local families as this area has a low density population and consists mainly private developments and is surrounded by lush greeneries. 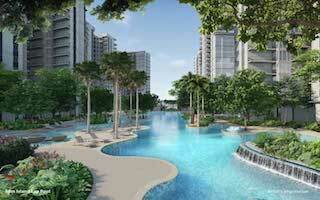 Leedon Residence is one of the biggest freehold private advancements in District 10. It is made up of 11 blocks of 12 storey condominium apartments with 2 bedrooms starting from 1044 sq ft to 5 bedroom penthouses measuring up to over 7000 square feet. 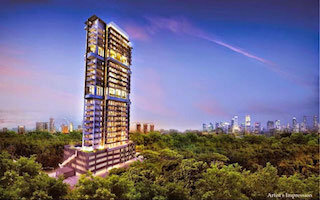 Lloyd Sixty Five is located in the heart of the Orchard Road. Despite being located on a busy commercial street, the building is lightly surrounded by greenery and sits elegantly like a bird in its nest. 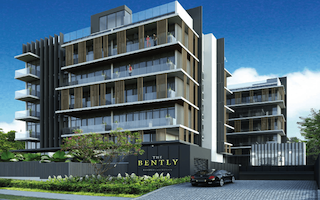 This freehold development comprises of 76 lavish apartments. 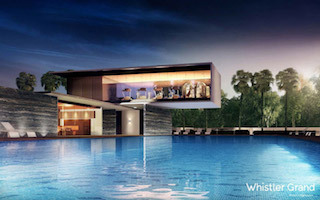 The Mont Botanik Residence is a new launch freehold development located in the West Region of Singapore. 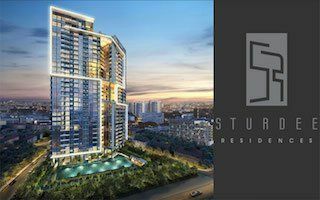 Situated just a brief walk from the Hillview MRT station, this new development is also just stone’s throw away from the HillV2 Shopping mall. 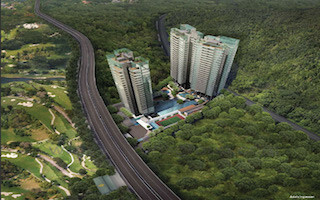 The freehold development is also in close proximity to the Bukit Batok Nature Reserve. 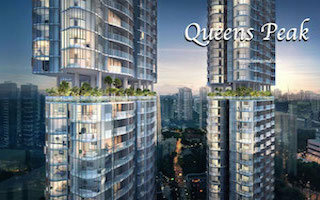 New Futura is a freehold condominium by CDL, featuring a glamorous and exquisite facade, this development is made up of two exclusive 36-storey skyscrapers and both towers will comprise of 124 condominium suites. Built with elevated decks, residents can enjoy maximised privacy while enjoying a dip in the 50m luxury swimming pool or unwinding in the outdoor space within the development . 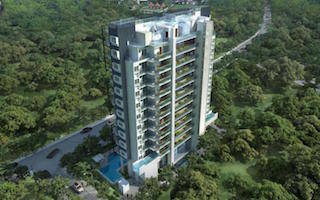 Freehold boutique residential development, Nyon is situated next to Amber Road. This beautiful and unique Peranakan-inspired theme apartment is a rare freehold development that is just 2 minutes walk to the future Tanjong Katong MRT Station. 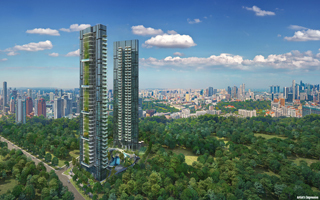 One Balmoral is a luxurious condominium development by Hong Leong Holding Limited that is due to be completed in 2017. Located at 1 Balmoral Road in District 10, this residential complex enjoys a prime location and its sleek glass design and lush surrounding greenery exudes class and opulence. Located in the heart of Singapore (1 Draycott Park, Singapore 259385), One Draycott offers great convenience because of its ideal location. It is situated only at a few minutes distance from the Orchard road. Major spots of the city are accessible easily from this site. 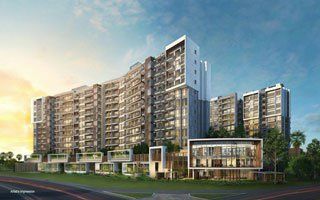 One Meyer is a freehold development that is just doorstep away to the upcoming Katong Park MRT Station along the Thomson-East Coast line and within 10 minutes walk to the Paya Lebar MRT interchange. One Surin is nestled in a serene residential enclave along Surin Avenue. Situated between Kovan and Serangoon estate, this resort-like development is only a short distance to both Kovan and Serangoon MRT station. All units come with 4 spacious bedroom and a study room. Onze @ Tanjong Pagar is a freehold development located in Tanjong Pagar consisting of 56 residential units. The first level of the development will comprise of 13 commercial units. On the rooftop, there lies a sky terrace and swimming pool overlooking the city skyline of Singapore. 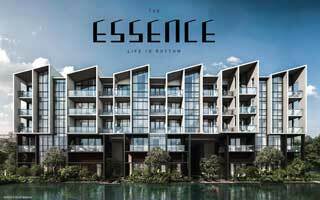 New launch Executive Condo, Parc Life by Fraser Centrepoint, is located at Sembawang avenue. Surrounded by amenities, this EC is a short walk to Sembawang MRT station and Sun plaza shopping mall. In close proximity of the beautiful flowing waters of the reservoir, Rivercove Residences EC is standing tall in Singapore’s prime location, the Anchorvale Lane. 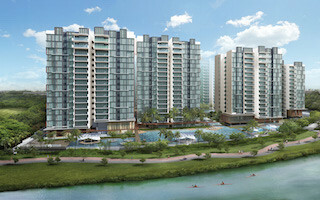 Rivercove Residences is ideal for living in a resort-like environment with amazing view of water to soothe your eyes. It is an ideal location for a quality living with both shopping and recreational opportunities nearby. Step into the luxurious embrace of freehold condominium, Robin Residences. 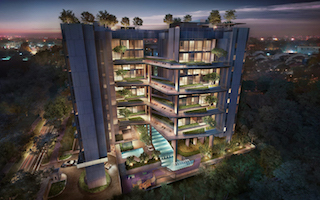 The Robin Residences is a low rise development situated within the private residential enclave of Bukit Timah. 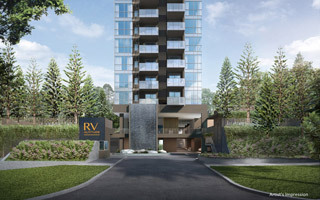 RV Altitude is a residential development by Roxy-Pacific Holdings Limited. This freehold development is located in Prime District 9 along River Valley Road. 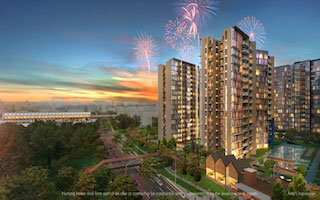 RV Altitude comprises of 140 apartment units and is within 5 minutes walk to River Valley MRT Station. Sea Pavilion Residences is a small freehold development that consist of 24 residential apartments. This freehold apartment is about 300m walk to future Bayshore MRT station. Sea Pavilion Residences is located at 494 Upper East Coast Road. New launch EC, Sol Acres is a Leasehold Executive Condo situated at Choa Chu Kang Grove in District 23. It is situated just next to 2 LRT stations which bring residents to either the Downtown line or North-South Line directly. Enjoy the unique rustic view of the cultural heritage, be stunned by the beautiful city skyline and immersed in the breathtaking view of the sea. Welcome to the Spottiswoode Suites. 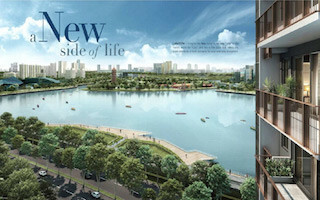 Facing the future waterfront city, this freehold condo will be having a nearby MRT station. Revel and Relish in Realms of Pleasure. Imagine living in an iconic structure that encompasses untamed energy with a rapturous spatial effect. Welcome to the newly TOP Starlight Suites. Step out to a world of urban indulgences a stone’s throw away. More convenience in live, work, play and education. 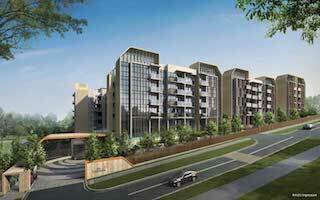 The Addition at Potong Pasir is a freehold boutique development with an excellent location. The Asana comprises of 48 premier apartments varying from one-bedroom to three-bedroom suites. This freehold development is located along Queen’s Road and is walking distance to 2 MRT stations. The Boutiq at Killiney is a freehold residential development in Orchard, located just few minutes stroll away from Somerset MRT station. This stunningly elegant residential development is made up of 2 apartment blocks both standing 10-storey high and consists of 130 residential units. The Gazania is a freehold development that is located along Sun How Drive. This low-rise freehold apartment is only a mere 5 minutes walk to Bartley MRT Station. It is situated in a tranquil and private neighbourhood and yet is of close proximity to amenities and public transport. At How Sun Road, the freehold development promises the future residents a serene and peaceful ambiance while at the same time remain within easy commuting reach of several facilities making it a smart choice for young and mature potential investors alike. The Line @ Tanjong Rhu is a newly TOP freehold residential development located in the east region of Singapore. Consisting of 2 blocks of 20 storey high, there is a total of 130 exclusive apartments within the development. The Line @ Tanjong Rhu carries a wide range of unit mix from 1 Bedroom suites to 4 Bedroom with study Penthouses. Nestled along Meyer Road next to East Coast Park, Freehold development The MeyeRise, has the most famous seafront view in Singapore. 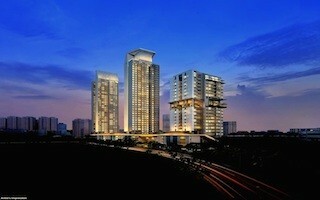 MeyeRise is also just few minutes walk away from future Amber MRT station. Sitting in a low rise private residential enclave, newly TOP development, The Morris Residences is nestled in the serene Kovan/Paya Lebar housing estate. The Morris Residences is a mere 5-10 minutes bus ride away from the Serangoon, Kovan and Bartley MRT stations. A distinctive façade of intricate lattice screens is carefully balanced against thoughtfully appointed interiors exuding an air of understated opulence. The simple inspiration behind this creative vision – The Orient. Learn more about this freehold development that is just near the MRT station. 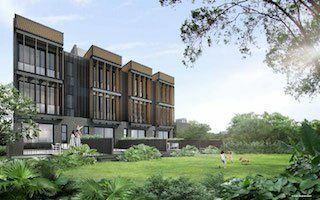 Located along Rambai Road, The Ramford is a freehold development comprising of 14 apartments that are up to 5-storey high and 2 semi-detached houses that are of 3-storey high. This low rise freehold residential development is also within 1 km from several top schools. 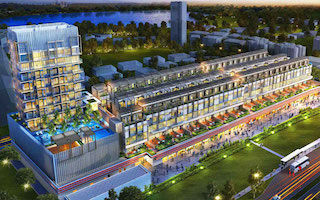 The Ramford is close to upcoming Marine Parade MRT Station. Freehold condo, The Tembusu by Wingtai is a mere 6 minutes walk to Kovan MRT station. Be captivated by this strikingly beautiful development that is embedded with extravagant greenery and lush foliage. The Tembusu is surrounded by shopping, dining and entertainment amenities. 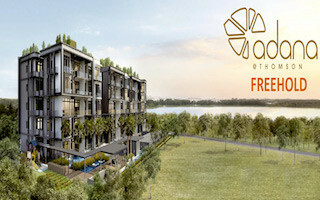 The Terrace Executive Condo by Fraser Centrepoint is the only Executive Condominium that is sited next to Punggol Waterway. This resort style EC is just beside Kadaloor LRT station. 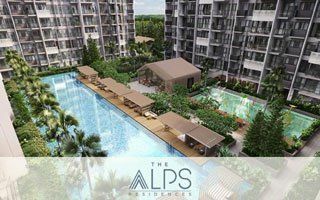 The Vales EC is a 99-year leasehold executive condominium located at Anchorvale Crescent and is a stone throw’s away to Cheng Lim LRT station and 7 minutes stroll away to Seng Kang MRT station. Let Enchantment And Beauty Surround And Inspire Your Every Emotion. Step into the enchanted realm of The Whitley Residences, an exclusive gated enclave of 61 exceptional strata landed homes. Three Balmoral – A coveted address that signifies prestige like no other. 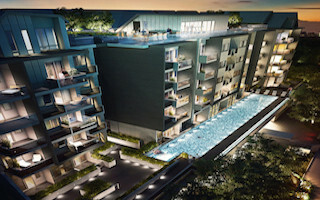 An exclusive freehold development in the Prime District 10 for the creme de la creme society. Trilive at Kovan is located at a highly desirable location where food, recreation, transport and notable schools are all within minutes reach. This freehold development offers breathtaking skyline for true urbanites. 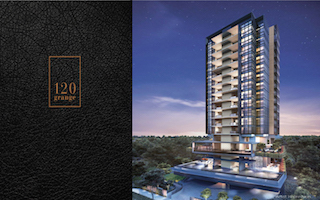 TwentyOne Angullia Park is a freehold condo located in the heart of Orchard. 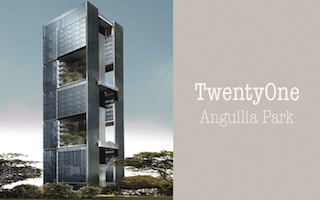 21 Angullia Park comprises of 36 levels and is made up of 2 to 4 bedroom condo apartments and penthouses that feature a double volume ceiling height. 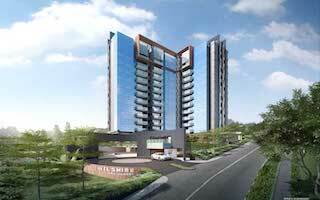 Wilshire Residences – A prestigious freehold development located in the prime district. With nature at the doorstep, it is easy to immerse oneself in this serene and private residential enclave. The Wilshire Residences is just a short walk to Farrer Park MRT station and Singapore Botanic Gardens. Well-establised school, Nanyang Primary School is also within a kilometre away.